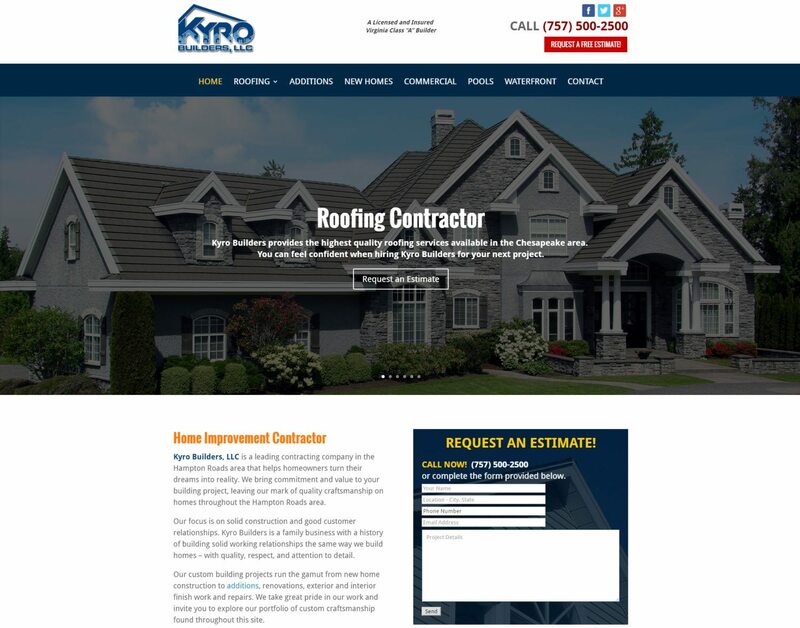 Trumpet Marketing designed and built a new website for Kyro Builders, LLC located in Virginia. This custom WordPress website has a home page slider and subpage galleries that allow patrons to see examples of previous jobs and fully understand the services this contractor offers. This custom responsive website hosts the latest technologies for SEO and with its clean easy to navigate layout performs well with the search engines.